Posted February 24th, 2014 by Hoffy Cycles. If you’ve bought a bike, you also need to buy a helmet. For around 50 dollars, this simple accessory could save your life or prevent serious injury. If you’re someone who regularly rides, you probably already own a helmet, but it’s still worth knowing what to look for when buying your next helmet, since they don’t last forever, they are not all created equal, and you’ll want the most comfortable one you can find. At Hoffy Cycles we sell bike helmets in a range of styles and sizes and below we explain what you should look for when buying your next helmet. A way to stay appropriately and securely attached to the head. – Most helmets are made from an inner and outer shell. The inner shell is typically a polystyrene material, similar to a picnic cooler. This is material that will absorb and distribute the force of the impact. The outer shell is made from a plastic coating which holds everything together. On more expensive helmets this may be thicker and on less expensive helmets this plastic finish may not cover the entire helmet – with around 20 per cent foam still at the back. On more expensive helmets there are usually more vents and made from a better finish. However when it comes to a helmet, as long as the construction has not been compromised from an impact, mostly the more expensive helmets come down to flashier designs, more ventilation and specific sizes. 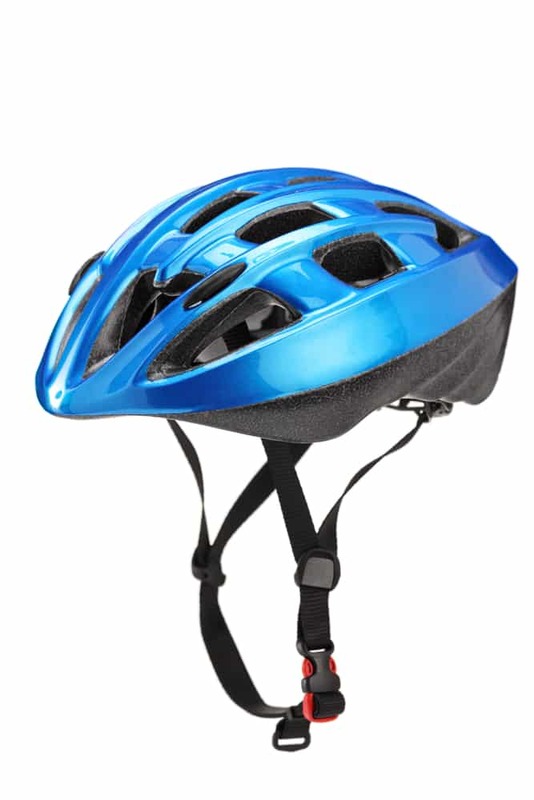 Cheaper helmets are typically a one size fits all with an adjustable strap to tighten or loosen as needed. Many people may not want to admit it, but looks are a major consideration when a new helmet. Manufacturers understand this and sell many different styles, colours and designs of helmets. Mountain bikers in particular look sometimes for helmets with a visor on the top. It’s essential that your helmet fits snugly and low on your head. The front of the helmet should cover most of your forehead. If the helmet can slide back easily from movement, it will not provide protection. Tighten the chin strap so it sits just below your chin without more than a finger space between your chin and the strap. If you can move the helmet back on your head, it’s not secured tight enough! It’s important to check straps often as they tend to loosen over time when riding.